Based on the tenets of natural selection, those individuals with variations in genetic makeup that promote their chances of survival and offer the opportunity to procreate will multiply at the expense of those with less advantageous genes. In 1975, the American biologist and entomologist E. O. Wilson authored Sociobiology: The New Synthesis, in which he sought to explain animal and human behavior on the basis of evolutionary theory and natural selection, suggesting that species behave in a manner that maximizes the chances of transmitting their genes to successive generations. In many species of mammals, for example, the mother’s innate protective behavior helps her offspring to survive and reproduce. Sociobiologists primarily focus on instinctive behavior and on group rather than individual behavior. Inherited adaptive behaviors in nonhuman animals are well accepted by evolutionary biologists, and they represent an active area of research. But Wilson has argued that human behavior is shaped as much, if not more, by genetic influences than by culture. Following his line of reasoning, social and environmental factors can have only limited influence in changing human behavior. Sociobiology’s application to humans has generated intense controversy and criticism. Among those in the vanguard of criticism was Stephen Jay Gould, a paleontologist and popular science writer. Gould and other evolutionary biologists have rejected biologic determinism in humans and argued that human behavior may be influenced by genetic makeup but is not determined by it. Accepting the belief that a human’s genetic makeup is intractable and that it controls one’s destiny and the need to maintain the status quo, it can be used to justify entrenching the ruling elite, legitimizing authoritarian political policies, and a host of other social injustices, including racism and sexism. SEE ALSO: Insects (c. 400 Million BCE), Darwin’s Theory of Natural Selection (1859), Eugenics (1883), Associative Learning (1897), Parental Investment and Sexual Selection (1972). 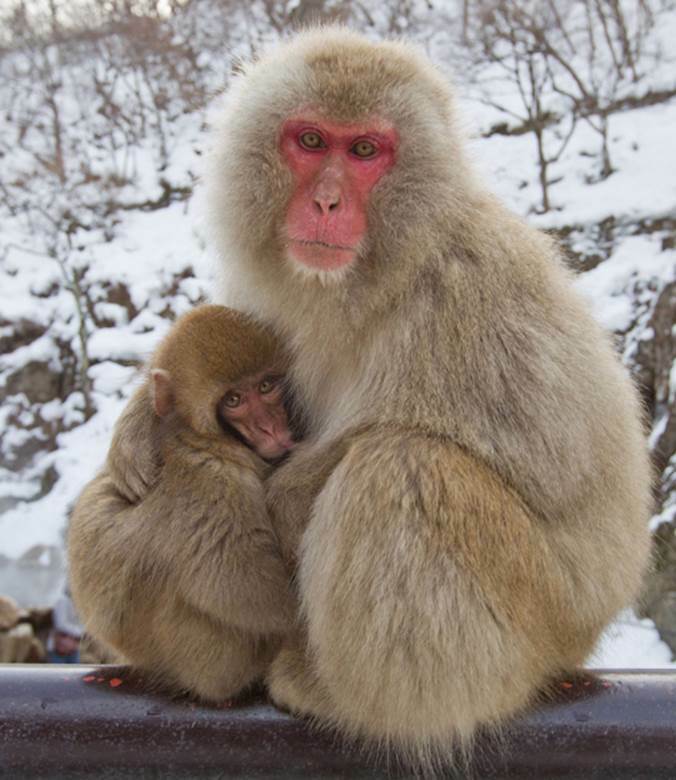 Sociobiology explains this snow monkey’s innate protective behavior toward her baby as based upon her efforts to enable the baby’s survival and reproduction, which guarantees the spread of her genes.